Vitality Bowls is a California chain specializing in superfood bowls and smoothies. With 18 California locations and a few expansions into Colorado, Indiana, Texas, and Florida, I’d say the concept has been well-received! That may not be surprising to you, but I’m that rare food blogger who’s managed to spend the last four years avoiding superfoods completely. I’m sure açai’s snuck into the odd beverage choice here and there, but I’ve never sought it out … before. 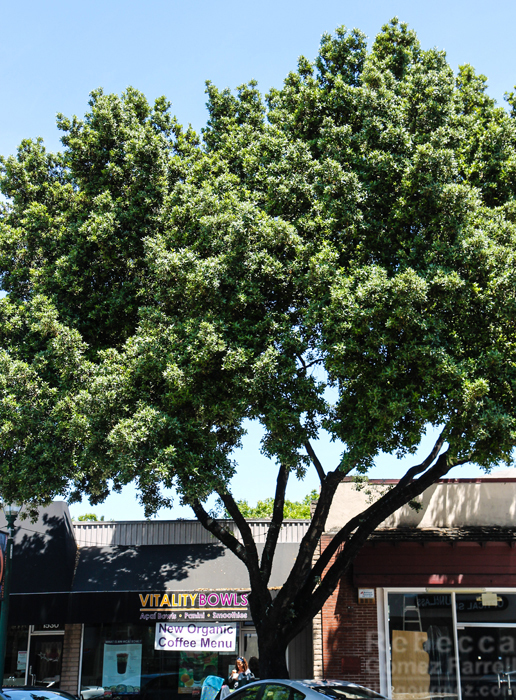 Even my husband beat me to it; when I told him about my invite from the company, he shared that he’d frequented the San Ramon location for lunch almost every day when he worked in the area and loved it. So dragging my feet due to cynicism about yet another foodie trend has apparently done me no favors. I headed to Vitality Bowls’ Walnut Creek location (1528 Locust St) in pursuit of superfood bliss. Stephanie, a manager and area trainer, was really sweet as she welcomed me. 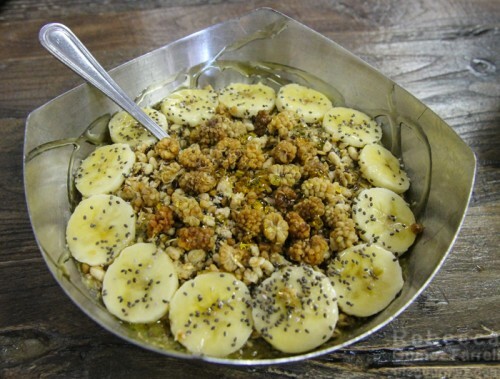 Both she and a cashier named Nicki recommended the Warrior Bowl with added peanut butter. 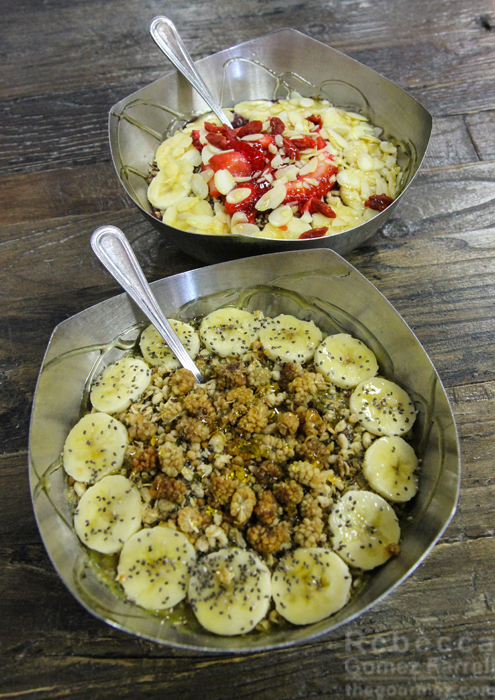 It’s one of fourteen base bowls on the menu, each featuring a different combination of puréed fruits, health powders, and milks (not dairy) topped with whole fruits, granolas, seeds, and honey. 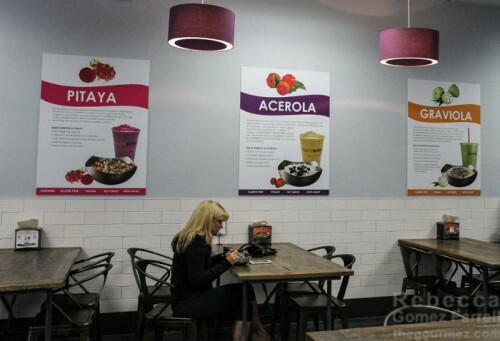 There are nearly as many smoothie and juice combinations on the menu. I decided to go ahead with the Warrior, although I did not add any extras to “power up” my selection as I wanted to try it without customization. Extras are $0.75. That bowl is pretty much the definition of a feast for the eyes. We eat with all of our senses, and being presented with such a beautiful display absolutely pleases me. Digging in a spoon reveals the fruit purée that forms the bulk of the bowl. No ice, yogurt, or added sweeteners beyond a natural honey drizzle go into the mix. The flavors are essentially the same as traditional berry smoothies; e.g., bursting with banana, strawberry, and raspberry. Although broccoli is in the ingredient list, there’s no hint of it in the taste, which is probably a good thing. Thanks to the almond milk, the purée is near creamy in texture, and the chopped almonds on top hold their own. Dehydrated goji berries sprinkled on top remind me of astronaut ice cream in texture and flavor. The Warrior Bowl’s main ingredient is Vitality Bowls Blend, which features açai among its list of superfood “best hits” ingredients. 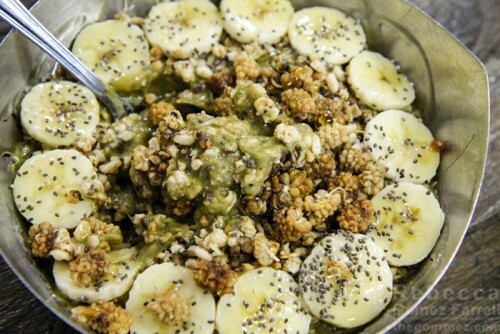 The VB Blend appears in several of the bowls and smoothies. Pomegranate-blueberry purée increases its vivid purple tone, which is reflected in the restaurant’s light fixtures. Those hardwood tables are also attractive, and I appreciated the helpful signs explaining the different superfoods Vitality Bowls uses as bases for the bowls–it’s not all açai all the time here. Which is why my second selection was the Graviola bowl, made with … graviola, which is more commonly known as soursop. Although the purée, being green, is slightly less visually appealing than the Warrior bowl, I preferred the Graviola. It came out icier, which may just mean that some of the fruits were more frozen before blending. Whatever the reason, I found it extra refreshing. The toasted mulberries on top are its MVPs, adding visual fun and a delicious crunch. Coconut water provides a great base for the blend, and the vegetal kale flavor is only present if you linger over the aftertaste. Chia seeds, not poppy seeds, dot those banana slices. A smaller selection of panini, salads, and soups is also available at Vitality Bowls, though I’m not sure why unless they’re meant to be a bribe for less adventurous friends to accompany patrons. Although the açai bowls are essentially chunky smoothies in nifty metallic dishware, other beverages are available. I tried samples of their draft cold brew coffee, pink lady apple kombucha, and grapefruit sage kombucha. The pink lady tasted like jazzed up apple juice. The grapefruit sage kombucha, pictured above, was quite delicious. 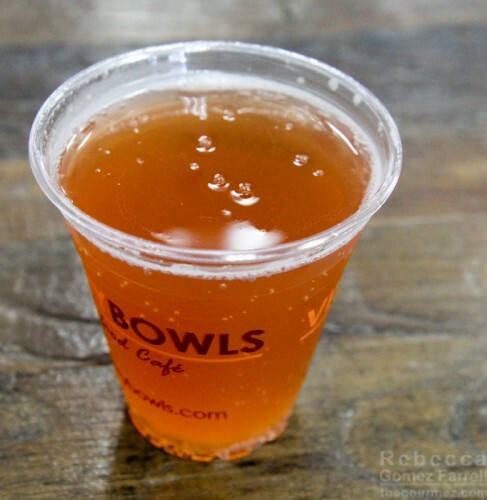 Normally, kombucha is too tangy for me, but the sage in this one grounds that typical tartness. 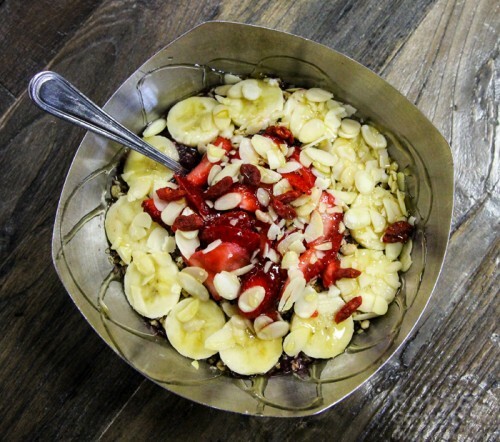 Honestly, I’m pretty delighted with my first açai bowl experience, though superfood is indeed the more appropriate term for covering the range of ingredients offered by Vitality Bowls — I make no claims as to superfood’s health benefits, either. The bowls aren’t cheap at $12 for mediums, but those suckers were huge! Twenty ounces each, and the larger size is twenty-eight — I didn’t even finish one full one! I also appreciate the restrained use of granola and other carb-heavy toppings and that the fruit shines through no matter the combination. 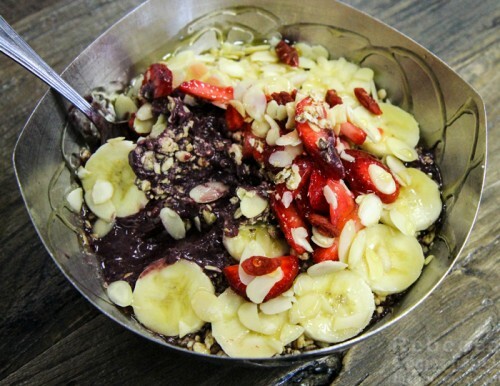 I won’t hesitate to purchase an açai bowl the next time I see one. But will others live up to the expectations set by Vitality Bowls? Obligatory disclaimer: I did not pay for the food and drink reviewed in this post. They did.